Lucky enough to have a Kindle? 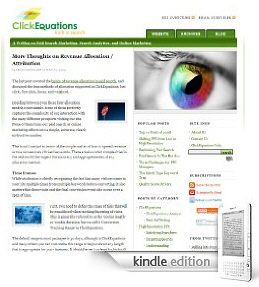 You can now subscribe to the ClickEquations blog on your Kindle, at Amazon.com. Right now the iPhone version of Kindle doesn’t support these subscriptions – hopefully that will change in the near future.